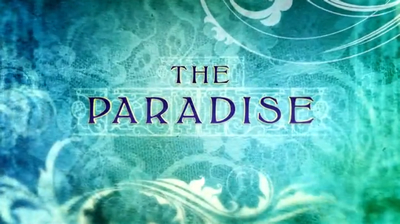 My latest obsession on Netflix has been a BBC series inspired by Èmile Zola’s book, The Ladies Paradise. The TV series is a little more charming than the book, but both delve into the good and evil of buying and selling, particularly when it comes to department stores. The BBC series is set somewhere in the Victorian Era at a time when sales and department stores are a novelty. It is easy to see, however, that the frenzy of shopping we all experience stepping into a Tesco or Walmart is not too far in the future. What I enjoy most about the series are the ideas of both the owner of The Paradise (Mr. Moray, a ladies’ man played by Emun Elliot) and his newest shop girl, Denise (Joanna Vanderham) have for selling and moving stock. Denise pours out idea after idea, and Moray is willing to put every one into action, giving her full reign, and calling her his “little champion.” A match made on Wall Street if there ever was one. Love and business come together seamlessly in this fine production. Mr. Moray is intent on conquering the city with his department store, and he is willing to risk everything to do so. His advisor, Dudley (Matthew McNulty), is more hesitant, more practical, saying they shouldn’t put the store itself in jeopardy. Mr. Moray says that their city is “littered with men who stood still,” men who shrank from the possibility of greatness because they didn’t want to take a risk. “Men who slow down, men who take their time, they come second. I won’t do that,” Moray says when Dudley cautions him against taking gamble with a large one-day sale at The Paradise. Moray’s willingness to risk everything is why he’s such a successful businessman and ladies’ man. Ever wonder why the “nice” guy or girl doesn’t get the person of their interest? Faint heart never won fair lady (or gentlemen). The customers won’t come to you. Advertisement. A sale. A special, a contest, a promotion. Customers must be enticed to buy, to want things they really don’t need — one of the “sins” of big business. In the series and book, a woman’s desire for buying is connected with her lust for love and to be admired. In love and in business, it is the brightly colored prancing peacock who gets all the attention. Successful selling requires some flash, and a willingness to show the best of what one has. Even the plainest of girls can be transformed with stylish clothes, well-cut hair, and a bit of makeup. At a later point in the season, Denise tells her uncle that if he can’t sell dresses, he should sell neckties. People are more willing to part with a small amount of money than a large sum, much like a woman may be willing to try conversation over coffee before embarking on a nerve-wracking first date with a dinner and a show. Without customers, business cannot be conducted. Thus the saying, “the customer is always right.” Anyone working in retail knows that isn’t true. Nevertheless, doing well in business often means taking small and sometimes large losses to keep customers happy, to keep them coming back. At The Paradise, Mr. Moray must “bend” to those with money who are considered his betters. In order to court their investment, he must submit to some of their demands, to compromise. Part of the success of Kohls department store chain has been their policy that a customer can return almost anything at almost any time. Yes, unscrupulous customers often taken advantage of this, yet it is a policy that keeps them and others coming back time after time, as do the various discounts and sales. Cold feet in love and cold feet in business. Reluctance in both can often be remedied with proof, proof that things can turn out for the best, proof that the risk is worth it. In the series, Mr. Moray courts Katherine Glendenning (Elaine Cassidy) for love, and her father for his money. Mr. Glendenning (Patrick Malahide) is hesitant both to invest in The Paradise, and to give Katherine’s hand to Moray in marriage. “Haste is the enemy of love,” he tells his headstrong daughter, all while Moray looks upon both with calculating eyes. Moray, we quickly find, is fine with waiting in love, but not in business. Thus, he puts all his efforts into wowing Glendenning the banker with a huge sale at the store, a risk that turns out to be a success. He also gives Katherine the teasing hope that more time will ease his reluctance to marry. As a businessman (or a lover), if you expect loyalty from your employees, you should give them your loyalty in return. A great boss is distinguished by his or her willingness to give their employees the benefit of the doubt when conflicts arise. When a shop boy is accused of an indiscretion, Moray takes the time to find out the full story before condemning him. He understands that a well-run business relies not only upon customer loyalty, but also upon the morale of the employees. A great boss will also know the strengths of their employees and put them to good use, much like Moray continually seeks out new ideas from the veritable light bulb, Denise, and spends time flattering the middle aged Miss Audrey (Sarah Lancashire) who runs the women’s clothing department. Miss Audrey is herself a born flatterer, a born saleswoman. At the end of the day, business is business, and only has a fleeting comparison with real love, but the dance of both, the game of both, can be very similar. Both involve desire. What makes Mr. Moray a great businessman makes him a terrifying suitor, a threat to all women. As a businessman alone, he would make a terrible husband, much like a successful courtesan would make a terrible wife. The strength of the series, however, is that it shows if one truly cares for and about people, one can be successful both in business and in love. Customers (and ladies) can be won with time and care. Moray isn’t a ruthless businessman with no scruples, because he knows he would put himself out of business. Likewise, he is willing to court Katherine Glendenning, but won’t commit to her until he is ready for marriage. Denise is a good saleswoman because she genuinely believes in the products and the future of The Paradise, and sees that both can be a benefit to the customers. The series portrays the dangers of business and falling prey to consumerism, but it also shows the positive side, something we see far too little of in a day and age where the biased ruling of an elite government is held up as the only way the common man can have a chance. In business, we are not victims needing to be saved by our “betters,” but equals in our striving for success. A good sale is satisfactory on both ends, where both parties get what they desire in an amiable way that hinges not on their social strata so much as their being able to deliver as promised. One ingenuity against another. Alice sat at the table across from him and tried to pretend he didn’t exist. This was correct behavior, because, of course, he didn’t actually exist outside of her head. Still, the Martian stared at her, watching her eat her syrupy pancakes bite by bite. 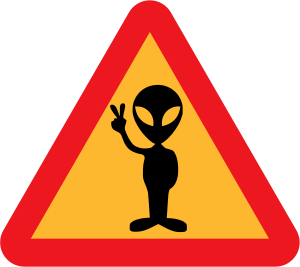 With long, red fingers, the Martian fiddled with a metal fork. The sound of tapping on the formica table echoed in Alice’s ears, but no one else looked up from their breakfast at the diner. “Of course I haven’t, they don’t exist.” Alice answered him in her head between bites. The sweetness of the meal calmed her nerves and she took another bite. “I read a book last night about an alien invasion and the descriptions stuck in my head.” Too late, Alice realized she’d said that last sentence out loud. She put a sticky hand over her mouth, and her eyes widened as a baseball-capped trucker at the counter turned to give her an appraising look. “Alien invasion?” His face was all graying hairs and acne scars, but a grin of perfect, white teeth broke through that, and Alice saw that once upon a time he must have had another, easier life. The Martian snorted and made a rude comment about the trucker as the man tipped his hat to their table, grabbed his plate and coffee cup, and made to slide in on the Martian’s side of the booth. Being not actually there, the Martian didn’t have a choice, and was squished against the large-windowed wall like a folded up bug. Alice chuckled. Alice dipped a cloth napkin in her water glass and used it to scrub the syrup from her hands. “Why do you think that?” The Martian spat out, looking terribly uncomfortable pressed up against the wall. His elongated head was tilted towards the window, and one red, pointed ear stuck to the glass like a Christmas poinsettia plants that often sat in windows during the winter. The trucker sat back against the booth and turned to look at the Martian. The Martian stared back, rounding his eyes now in a dare of some sort. Alice laughed. “You’re right, they do need work.” She looked down at her bag lying next to her on the booth bench. Inside rested five spiral notebooks and an out-of-date laptop. The trucker’s eyes followed hers. The trucker held up a finger and fished around in the back pocket of his jeans. Alice held onto the edge of the table, readying herself in case she should need to run. She’d come across many strange people during her mornings at the diner. She didn’t need to worry. The trucker pulled out a small notebook and flipped it open on the table next to her now empty plate. “Poetry?” The Martian wrinkled the skin around a hole in his face that on a better looking being would have been a proper nose. He did have nice eyes underneath those furry brows. “What would we write about?” Alice pushed a wisp of her own gray-black hair behind her ear. “Oh, please.” The Martian rolled his eyes. “Is it a love story?” Alice vaguely remembered brushing mascara on her eyelashes that morning. It made her eyes look larger, more luminous. “It could be.” The trucker chuckled and held out his mug for more coffee as the elderly waitress on skates rolled past their booth. She filled his cup and moved on to a group of teens in the corner. “Ouch, that is rough.” The trucker inclined his head in sympathy towards the window. The Martian made a sulking, almost human face and curled himself into a ball. “Well, you know him best. I haven’t read his story yet.” The trucker shrugged. The two writers bent their heads over their respective notebooks and scribbled away long into the afternoon. They parted ways, but promised to meet again the very next week, for Al had a commission that would take him through that town and he always had time for a leisurely breakfast. That night, Alice dreamed of aliens with fuzzy beards and warm brown eyes. Her Martian sighed over it all, but seemed content in his new existence as a million dollar stock broker who wore fancy suits, but took his meals in an old-fashioned diner where the hot coffee and pancakes kept on coming, and where a certain leggy blond on roller skates had captured his attention.